For a brief overview, please refer to this post. If I write a class as above, I can expect that it will work because it’s essentially a template, or placeholder for data. There is no logic, and very little, if any scope for error. I could write unit tests for this class, but what would they prove? There is nothing specific to my application, in terms of logic. Any associated unit tests would simply test the JVM (Java) or CLR (.NET), and would therefore be superfluous. Disclaimer: A key factor in mastering either OOD or TDD is knowing when not to use them. Let’s start building Robots. 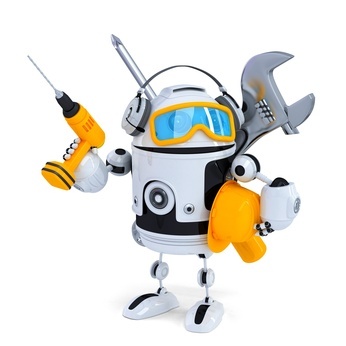 Robots are complicated structures composed of several key components. Our application might grow to support multiple variants of Robot. Imagine an application that featured thousands of Robots. 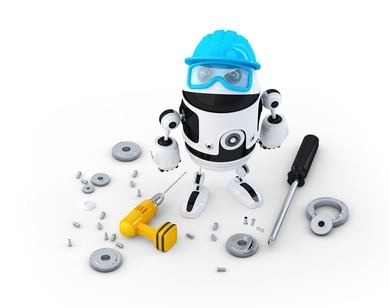 Assembling each Robot to a unique specification would be a cumbersome task. Ultimately, the application would become bloated with Robot bootstrapper code, and would quickly become unmanageable. Ideally we would have a component that created each Robot for us, with minimal effort. Fortunately, from a design perspective, a suitable pattern exists. We’re here to build your robots, sir! The Builder pattern provides a means to encapsulate the means by which an object is constructed. It also allows us to modify the construction process to allow for multiple implementations; in our case, to create multiple variants of Robot. In plain English, this means that an application the leverages a builder component does not need to know anything about the object being constructed. 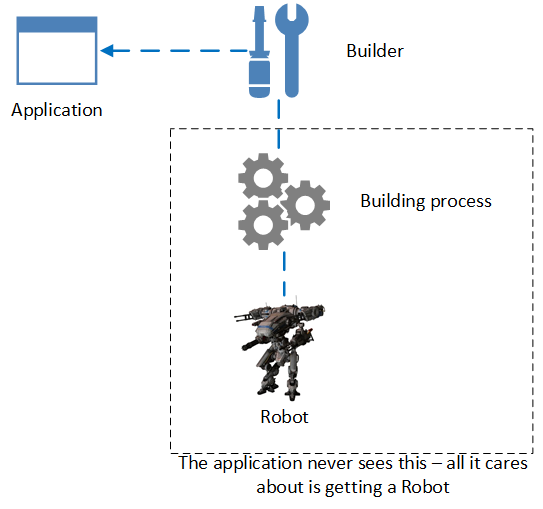 It’s not your application’s job to build robots. 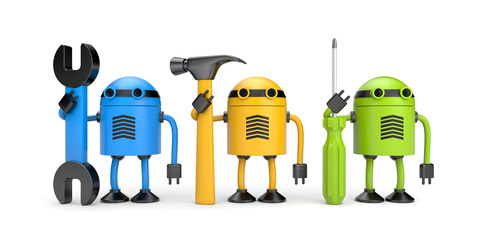 It’s your application’s job to manage those robots at runtime. 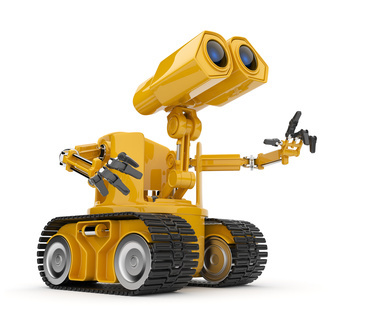 The application should be agnostic in terms of how robots are provided. Let’s add another Robot to our application; this time, let’s design the Robot to run on caterpillars, rather than legs. First, we introduce a new class called Caterpillar. Caterpillar must extend Leg, so that it’s compatible with our Robot and RobotBuilder abstractions. This class doesn’t do anything right now. We’ll implement behaviour in the next tutorial. For now, let’s provide a means to build our CaterpillarRobot. Yes, both classes are similar. Here, you must use your best Object Oriented judgement. If your classes are unlikely to change, then yes, extending BasicRobotBuilder to CaterpillarRobotBuilder might be a worthwhile strategy. However, you must consider the cost of doing this, should future requirements change. Suppose that we introduce a fundamental change to our CaterpillarRobot class, such that it no longer resembles, nor behaves in the same manner as a BasicRobot. In that case, we would have to extract the CaterpillarRobotBuilder class from BasicRobotBuilder, and extend if from RobotBuilder, which may involve significant effort. Now our build logic is encapsulated within a controlling class, which is agnostic in terms of the actual implementation of robotbuilder – we can load any implementation we like, and our constructor will just build it. In the next tutorial in this series we’ll focus on making robots fight. This entry was posted in C#, design patterns, Object Oriented Design, Test Driven Development and tagged .net, builder, builder pattern, C#, csharp, design patterns, Java, object oriented design, OOD, optimisation, optimization, stream reader c#, TDD, test driven development on April 24, 2015 by Paul Mooney. It looks like our code is broken. Remember our WorkerDrone logic? 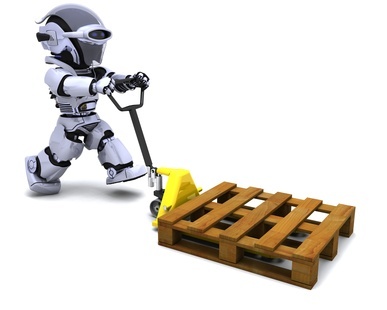 Our Unit Tests only ever considered WorkerDrones that transport a single RobotPart at a time. We haven’t considered the consequences of transporting multiple RobotParts. As it turns out, our WorkerDrone's TransportMechanism will be overwritten every time a RobotPart is picked up. This will produce incorrect behaviour; essentially, all RobotParts held by a WorkerDrone will be delivered to the same FactoryRoom implementation – the FactoryRoom implementation associated with the last RobotPart to be picked up, which will overwrite the previous RobotPart that was picked up. Well, currently our WorkerDrones can only successfully transport a single RobotPart at a time. Our Factory would operate a lot more efficiently if our WorkerDrones could carry multiple RobotParts and successfully deliver them without having to return to the DeliveryBay after each run. More than 1 RobotPart at a time? Please! Easy work for me!!! Now we need to modify the OffLoadRobotPart to simply transfer the RobotPart that we just picked up to its associated FactoryRoom instance. Note that we’ve also changed our TransportMechanism abstraction to accept a RobotPart by default. This is where we’ll load the RobotPart that is picked up by the WorkerDrone. OK. Now our WorkerDrone can successfully deliver multiple RobotParts to multiple FactoryRooms. Now we need to ensure that it will return to the DeliveryBay once it has delivered its payload. AS usual with TDD, let’s start with the tests, and introduce a new test to assert that multiple RobotParts can be delivered successfully. Our test will cover a scenario where a WorkerDrone delivers multiple RobotParts and then returns to the DeliveryBay. Note that we explicitly create a DeliveryBayTransportMechanism instance and execute the enterRoom method. Now our WorkerDrone has returned to DeliveryBay after successful delivery of its payload. We’ve demonstrated how TDD and OOD can facilitate change during the software development life-cycle. The next tutorial in the series will focus on building Robots. This entry was posted in Object Oriented Design, Test Driven Development and tagged .net, C#, csharp, design patterns, Java, object oriented design, OOD, TDD, test driven development on February 27, 2015 by Paul Mooney. We’ve provided our WorkerDrones with a means to determine an appropriate method of transportation by inspecting any given RobotPart implementation. Now WorkerDrones may select a TransportationMechanism implementation that suits each RobotPart. But we have yet to implement the actual logic involved. This is what we’ll cover in this tutorial. Look at how eager the little guy is! Let’s not delay; he’s got plenty of work to do. “Mechs with Big Guns” is a factory that produces large, robotic vehicles designed to shoot other large, robotic vehicles. Robots are composed of several robotic parts, delivered by suppliers. Parts are loaded into a delivery bay, and are transported by worker drones to various rooms; functional parts such as arms, legs, etc., are dispatched to an assembly room. Guns and explosives are dispatched to an armoury. The factory hosts many worker drones to assemble the robots. These drones will specialise in the construction of 1 specific robot, and will require all parts that make up that robot in order to build it. Once the drone has acquired all parts, it will enter the assembly room and build the robot. Newly built robots are transported to the armoury where waiting drones outfit them with guns. From time to time, two robots will randomly be selected from the armoury, and will engage one another in the arena, an advanced testing-ground in the factory. The winning robot will be repaired in the arena by repair drones. Its design will be promoted on a leader board, tracking each design and their associated victories. Let’s look at what exactly happens when we transport a RobotPart. First, the WorkerDrone needs to identify the RobotPart that it just picked up, so that it can transport the part to the correct FactoryRoom. Let’s dive right in. In the previous tutorial, we defined a means to do this by examining a RobotPart's RobotPartCategory and returning an appropriate TransportMechanism. Now, let’s add logic to our TransportMechanism. First of all, what can we tell about the difference between both implementations? Both contain private properties, but our C# implementation is explicitly bound to a FactoryRoom object. Our Java implementation, on the other hand, seems to be bound to the letter “E”. The difference in implementations can be explained by discussing Generics. Essentially, Generics allow us to define an action, like a method, without defining a concrete return-type or input parameter – instead, we define these in concrete implementations of our abstraction. At this point, rather than go off-topic, I’ll provide a link to a thorough tutorial on this subject in C#. In a nutshell, the difference in implementations comes down to a personal preference – I prefer Java’s implementation of Generics over C#’s, specifically Java’s support for covariance and contravariance. Again, I’m happy to follow up with this offline, or to host a separate post on the subject, but for now, let’s keep going. Notice our Generic implementation of factoryRoom and robotPart map to armoury and weapon, respectfully. I’ll cover more about Generics on request. For now, let’s co back to our design. Yes, but let’s offer another layer of protection for consuming applications. After all, if a developer forgot to ensure that a WorkerDrone enters a room before offloading RobotParts, the system would crash. Even if we implemented counter-measures to prevent this, our WorkerDrone would effectively dump its payload somewhere in the Factory. What do you expect me to do now?!? Our WorkerDrone is now housed within an appropriate FactoryRoom, and has offloaded its RobotParts to that FactoryRoom. Notice out first pair of Asserts. We’ve transported the RobotParts from WorkerDrone to FactoryRoom, and simply assert that both components contain the correct number of RobotParts. Next, we assert that our TransportMechanism has selected the correct FactoryRoom instance; Weapons go to the Armoury, Assemblies to the AssemblyRoom. Our implementations are instances of our abstractions from a real-world perspective – they don’t just exhibit a set of behaviours. It’s worth noting that a class can derive from a single class only in both C# and Java, whereas a class can derive from many interfaces as you like. The next tutorial in the series will focus on returning our WorkerDrones to the DeliveryBay, and outlining the structure of RobotBuilders. This entry was posted in design patterns, Object Oriented Design, Performance Tuning, Test Driven Development and tagged .net, bridge pattern, C#, covariance, csharp, design patterns, generics, inheritence, Java, Java implementation, object oriented design, OOD, optimisation, optimization, TDD, test driven development on February 20, 2015 by Paul Mooney. Following on from the previous tutorial, where we looked at Supplier and DeliveryBay objects, let’s move on to WorkerDrones. 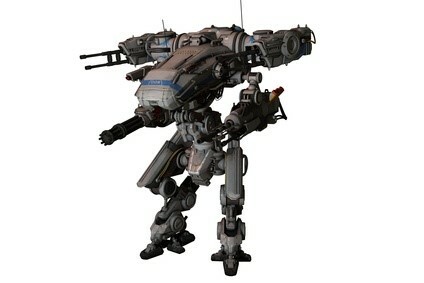 In that case, our WorkerDrone needs to transport these to the AssemblyRoom. However, check out the guns on this guy!!! Those weapons, should they arrive in the DeliveryBay, need to be transported to the Armoury. 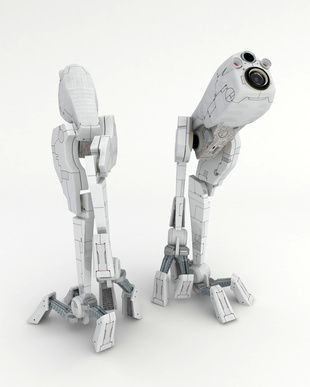 WorkerDrones have 2 separate types of behaviour that govern RobotPart transportation. This is commonly known as the Strategy Design Pattern. Structurally, they are both the same. The difference is in their implementation. A Bridge is a behaviour that is set at design-time, and remains constant. A Strategy on the other hand, can change at runtime. What we’re essentially doing is abstracting WorkerDrone transportation behaviour to separate classes that share the same abstraction. Our WorkerDrone simply chooses the correct implementation to suit a given scenario, and the implementation does the work. Let’s keep thiings simple for the moment; we won’t actually implement the act of transporting RobotParts, we’ll simply implement the fundamental components involved. In the next tutorial, we’ll implement the logic involved in transporting RobotParts from the DeliveryRoom to both AssemblyRoom and Armoury. This entry was posted in design patterns, Object Oriented Design, Test Driven Development and tagged .net, C#, csharp, design patterns, Java, object oriented design, OOD, TDD, test driven development on February 6, 2015 by Paul Mooney. 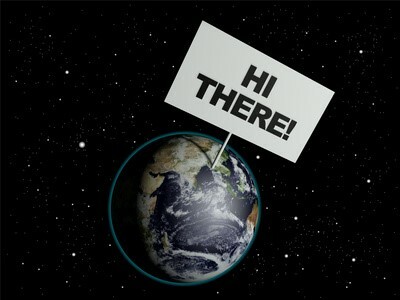 At this point, many tutorials start by launching into a “Hello, World” style tutorial, with very little practical basis. This isn’t the most exciting concept, so let’s try a more practical example. Instead of churning out boring pleasantries, our application is going to do something a bit more interesting…build robots. 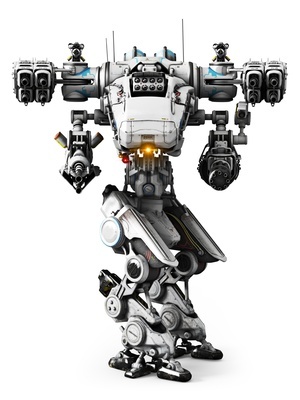 Specifically, our application is going to build awesome robots with big guns. Ok, let’s get started with a narrative description of what we’re going to do. The first thing we’ll do is look at the narrative again, this time highlighting each noun. “Mechs with Big Guns” is a factory that produces large, robotic vehicles designed to shoot other large, robotic vehicles. Robots are composed of several robotic parts, delivered by suppliers. Parts are loaded into a delivery bay, and are transported by worker drones to various rooms; functional parts such as arms, legs, etc., are dispatched to an assembly room. Guns and explosives are dispatched to the armoury. The factory hosts many worker drones to assemble the robots. These drones will specialise in the construction of 1 specific robot, and will require all parts that make up that robot in order to build it. Once the drone has acquired all parts, it will enter the assembly room and build the robot. Newly built robots are transported to the armoury where waiting drones outfit them with weapon assemblies. From time to time, two robots will randomly be selected from the armoury, and will engage one another in the arena, an advanced testing-ground in the factory. The winning robot will be repaired in the arena by repair drones. Its design will be promoted on a leader board, tracking each design and their associated victories. Each highlight represents an actual object that will exist in our simulation. I recommend starting with a low-level component; that is, a component with little or no dependency on other objects. Supplier looks like a good place to start. It doesn’t do much, other than deliver RobotParts to a DeliveryBay, so let’s start with that. I’m assuming at this point, if you’re working with .NET, that you have a new Visual Studio solution and have created a Class Library project including NUnit as an included package. NUnit is the testing framework that we will use to validate our core components. Or,if you’re working with Java, that you’ve set up a new Java 8 project in your IDE of choice, and have configured JUnit, the testing framework that we will use to validate our core components. Yes, we can. We’ve abstracted to the Supplier class because at some point, we’re going to have to test a component that has a dependency on a RobotPartSupplier. The point of each test in a Test Driven project is that it tests exactly 1 unit of work, and no more. 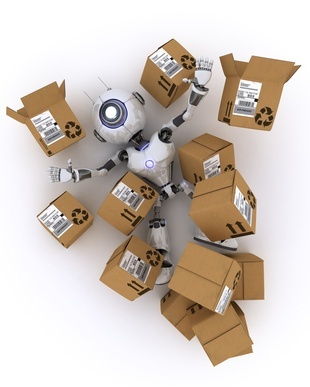 In our case, we’re testing to ensure that a RobotPartSupplier can deliver RobotParts to a DeliveryBay. But if you follow the logic through, we’re also testing concrete implementations of DeliveryBay and RobotPart. This can have negative consequences later on. What would happen, for example, if we were to change the underlying behaviour of DeliveryBay? For starters, it would break associated DeliveryBay tests. That’s fine – that’s what the tests are there for. But, it will also break our RobotPartSupplier tests. The point is to isolate each problem domain into a set of tests, and to apply boundaries to those tests such that changes in other problem domains do not impact. This might sound a bit pedantic. If so, bear with me. It actually provides a level of neatness to our code, which is particularly helpful as codebases grow larger. Essentially, the rule of thumb is to abstract everything. Notice that our RobotPartSupplier contains a List of RobotPart. Based on the above concept, The actual RobotPart instances that are loaded in this test are mocked instance. These are dummy implementations of the core abstraction, RobotPart, that will never make it to our actual core components. 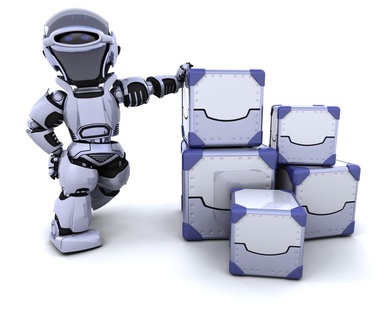 They provide simple implementations of dependent classes in order to protect our RobotSupplier tests from changes in concrete implementations of those dependent classes. As you can see, we’ve mocked DeliveryBay and RobotPart abstractions. As per the brief, this concludes our delivery-related functionality. Our test’s assertions determine that the RobotParts have indeed been copied from our RobotPartSupplier to our mocked DeliveryBay. In next week’s tutorial, we’ll continue our implementation, focusing on WorkerDrones, and their functionality. This entry was posted in Object Oriented Design, Test Driven Development and tagged .net, C#, csharp, design patterns, Java, object oriented design, OOD, TDD, test driven development on January 30, 2015 by Paul Mooney. Providing performance-optimised frameworks is both a practical and theoretical compulsion. Thus far, my posts have covered my own bespoke frameworks designed to optimise performance or enhance security. I’ve outlined those frameworks’ design, and provided tutorials describing several implementation examples. It occurred to me that providing such frameworks is not just about the practical – designing and distributing code libraries – but also about the theoretical – how to go about designing solutions from the ground up, with performance optimisation in mind. With that in mind, this post will mark the first in a series of posts aimed at offering step-by-step tutorials outlining the fundamentals of Object Oriented and Test Driven design in C# and Java. Friction in software systems occurs when components interact with one another. The more components you have, the more friction occurs, and the greater the likelihood that friction will result in bugs, or performance-related issues. This is where Test Driven Design comes in. Essentially, you start with a test. A TEST IS A SOFTWARE FUNCTION THAT PROVES THE COMPONENT YOU’RE BUILDING DOES WHAT IT’S SUPPOSED TO DO. That’s it. I can expand on this to a great degree, but in essence, that’s all you need to know. Tests focus on one thing only – ensuring that the tested component achieves its purpose, and nothing more. In other words, when our component is finished, it should consist of exactly the amount of code necessary to fulfil its purpose, and no more. No, not necessarily. However, object-oriented systems can potentially offer a great degree of flexibility and reusability. Let’s assume that we have a working system. Step back and consider that system in terms of its core components. Think of your tests like a contract. They define how your components behave. Significant changes to a component should cause associated tests to fail, thus protecting your application from breaking changes. There are numerous articles online that argue the merits, or lack thereof, of design patterns. Some argue that all code should be structured based on design pattern, others that they add unnecessary complexity. My own opinion is that over time, as software evolved, the same design problems occurred across systems as they were developed. Solutions to those problems eventually formed, until the most optimal solutions matured as established design patterns. Every software problem you will ever face has been solved before. A certain pattern, or combination of patterns exists that offer a solution to your problem. Let’s explore these concepts further by applying them to a practical example in next week’s follow-up post. This entry was posted in Object Oriented Design, Performance Tuning, Test Driven Development and tagged .net, C#, csharp, design patterns, distributed design, object oriented design, OOD, optimisation, optimization, performance, TDD, test driven development on January 23, 2015 by Paul Mooney.